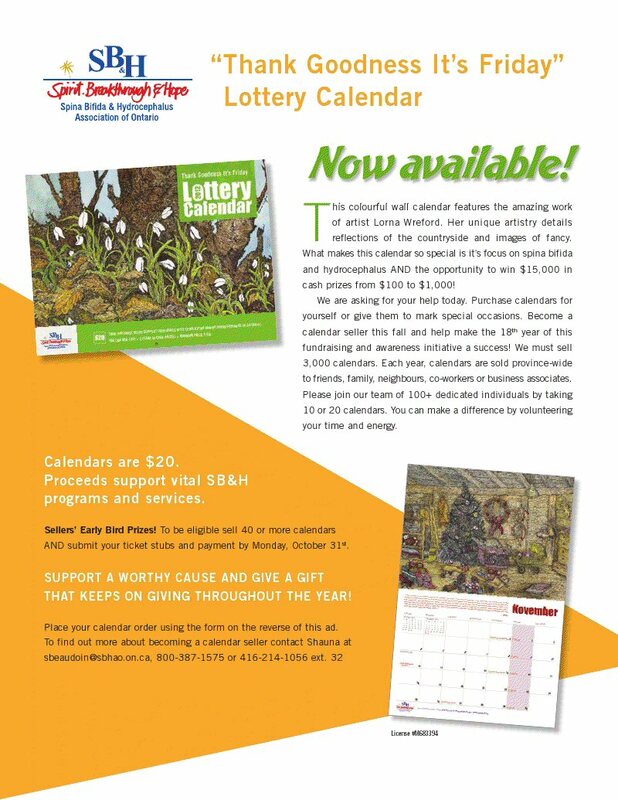 Order a “Thank Goodness It’s Friday” Calendar, and help the SBHAO. parents and adults living with spinda bifida and/or hydrocephalus. has been a major source of funding for the SB&H programs and services. spina bifida - celebrating her life of turning disabling into enabling through her art. and kindness of spirit. Together we can make a difference! have a chance or chances of winning a lottery draw. You might even win twice.